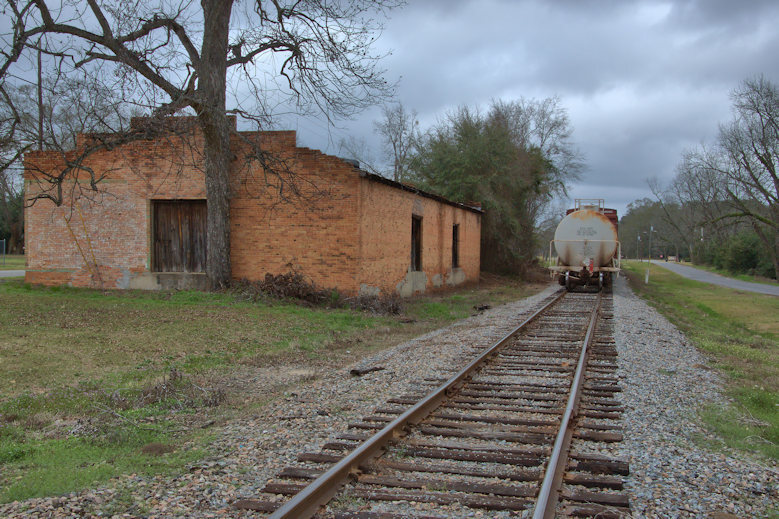 Railroads were integral to the settlement of Fitzgerald in the late 1890s and for much of its history have been one of its main economic components. 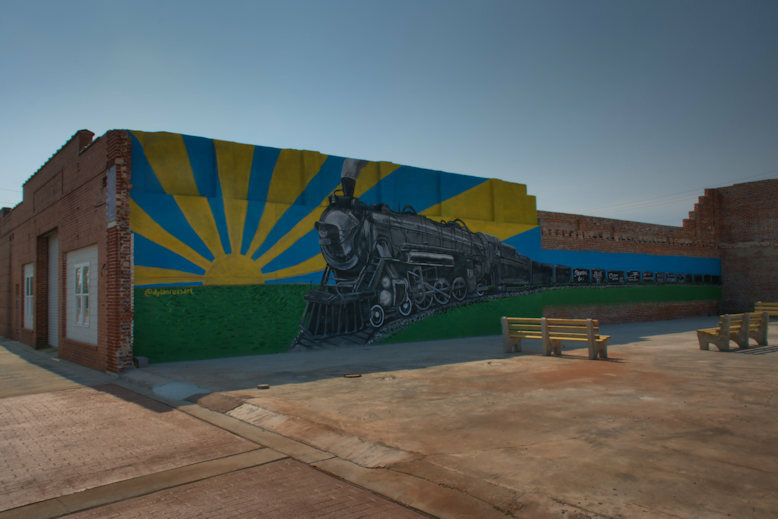 The city commissioned Dylan Ross to create this colorful mural. 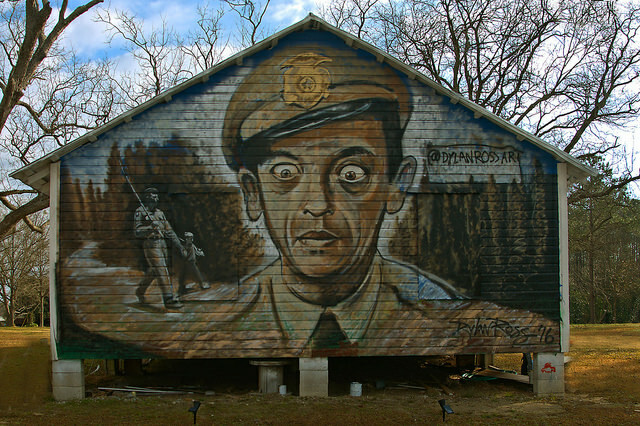 You may recall Dylan as the artist behind the brilliant Andy Griffith Show mural in Broxton. 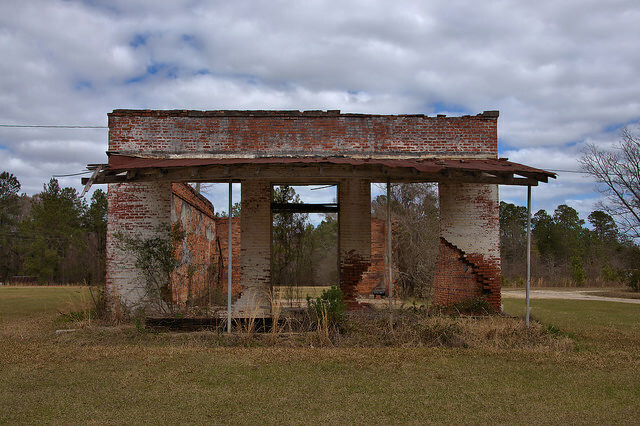 Though its proximity to the railroad tracks would suggest a railroad connection, this structure was actually a commercial freight warehouse. 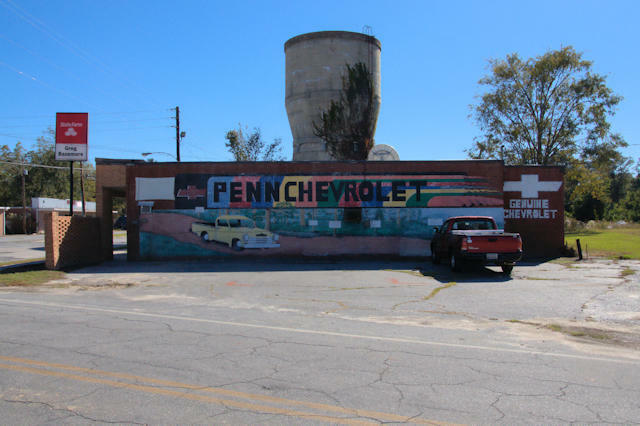 Penn Chevrolet was Gordon’s dealership and located adjacent to this building (if I understand correctly), which has murals honoring the business on both sides. These ruins caught my eye. 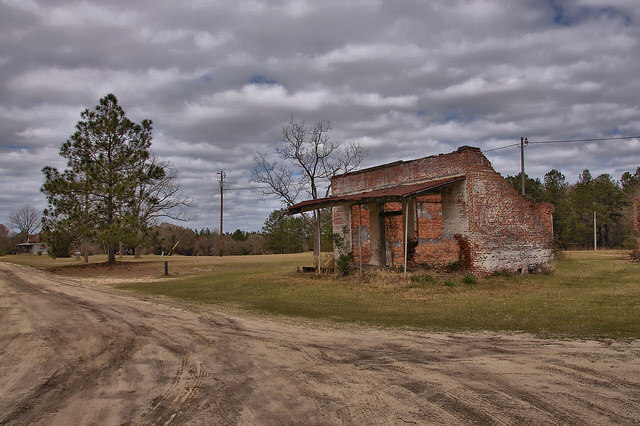 It appears they’re all that remain of Erick, a lost community situated along the Seaboard Rail line in western Wheeler County. 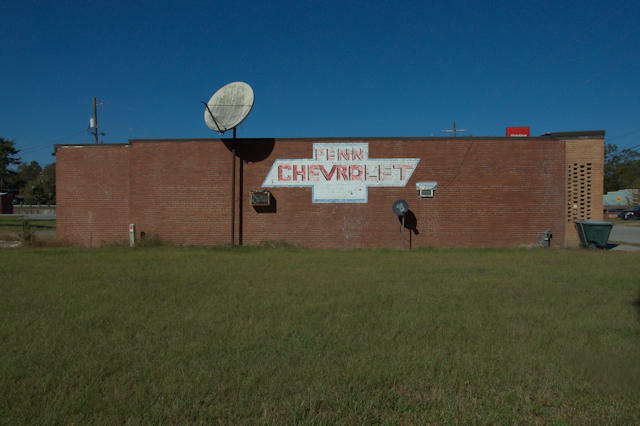 Joseph Summer writes: This was my great grandfather’s store. His name was Joshua R. Sumner. He died in 1937 at which time my great uncle, Will Sumner, ran the store. He died in 1964. 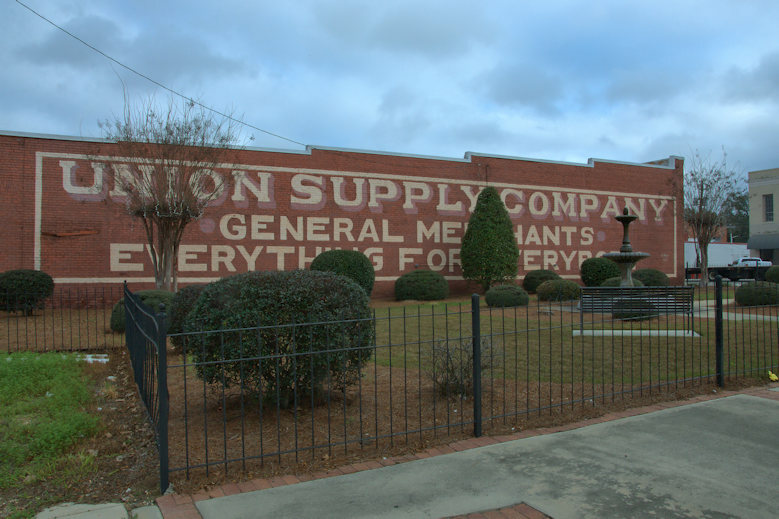 My great grand father also had a cotton gin that was located next to this store. Some of you may remember this old farmhouse on the outskirts of Broxton that I photographed a few years ago. 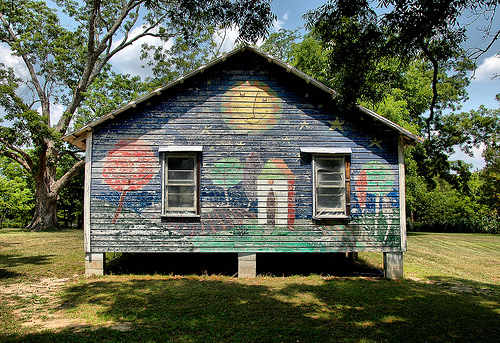 It originally featured a mural (seen below) done by owner Linda Christian. She really enjoyed doing it and was happy that it brought lots of joy to passersby on US441. It’s presently being spruced up, with a new face, by Dylan Ross. Dylan is a native of Coffee County whose extraordinary talent has garnered him scores of impressive clients and fans ranging from Aaron Murray and Luke Bryan to Lennox Lewis and Dennis Rodman. His work is really fresh and colorful and he’s a working artist in the sense that he’s always creating art. Please visit and like his Facebook page, or link to his website below. 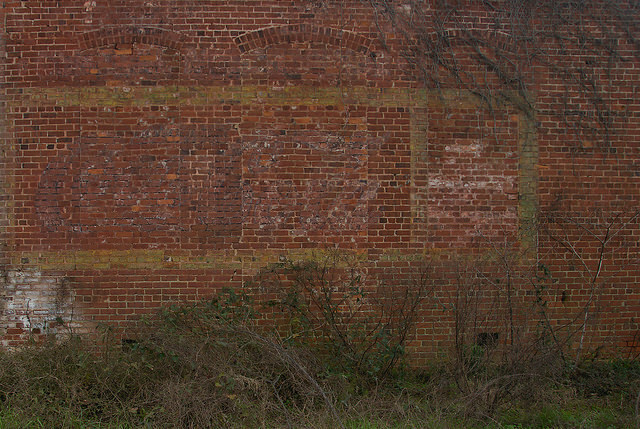 Though it’s barely discernible, this old Coca-Cola mural, like many others around Georgia, can still be made out if you look closely enough. 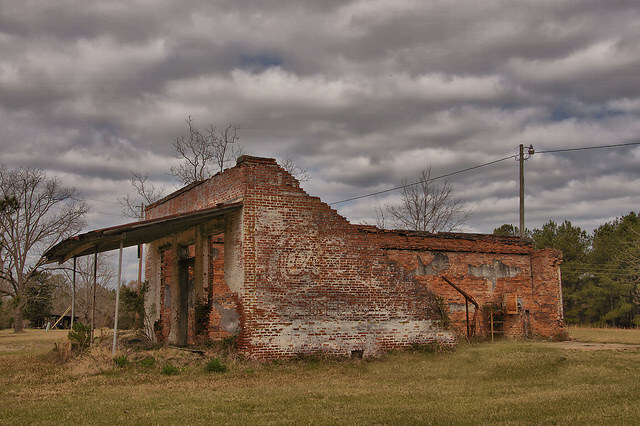 The building it once brightly adorned was likely a general store.